Ever have those months that are just so dang hard? Not necessarily all big and traumatic. But just sort of tough. Like ten thousand little difficult things all piling up on top of each other? May was that kind of month. The thing is, I gave myself a little challenge. I took time to find my favorite thing about each day and document it via Instagram. It helped me see past the tough things, and live thankfully in the happy ones. The happy is now what I remember. I think I need to do this every month. Taco Tuesday at the in-laws. April. Finishing a project. Star Wars Day. My marathoner. Talent show. My boys. Small friends. Pager love. Pool parties. Moms & Muffins. My mama. Them. His mama. Nancy Drew. Treat yo'self night. More small friends. School musical. PW potluck. Eight. Starving baby. Beach curls. Magic moose. Much Ado About You planners. Open house. Dave & Jess. Sisters. Baby Supertones. Wild animals. Appreciating teachers. Feeding people. May really was my fave. Because May was pretty rad. P.S. 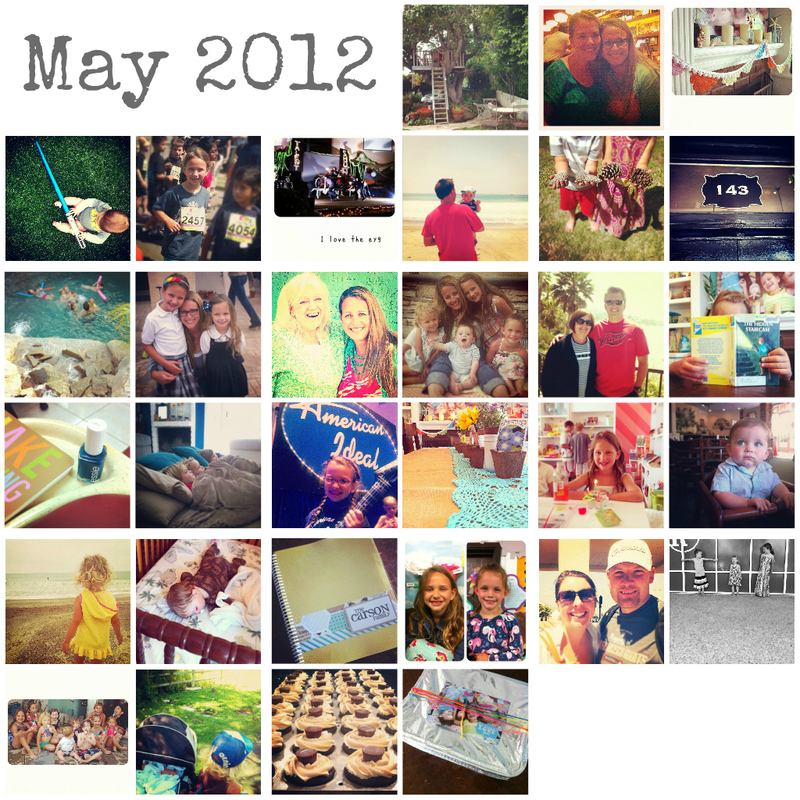 PicMonkey has collage now! Holla. This is an awesome way to remember the special moments in each day! Thanks for sharing. Ooh, and I used PicMonkey for the first time for a collage and LOVED it! i am so happy to finally be on instagram and get to "hear" you almost everyday. seriously. it's like a connection across the US instantly. love it. and love all your faves! may 23-25 was my fave. let's do it again. in about 2 weeks. ok? ok.
and picmonkey is my FAVEEEEEE. now they just need history. before i go mental. miss you friend. thanks for being the hostess with the mostess. you = NO JOKE. As soon as I saw your collage, I thought of how exiting it is that pic monkey now has collage. Awesome sauce. Can't believe May is over. Boo.